Sunday, Sunday, Sunday inbound marketing nation! Welcome to Sunday's Inbound Marketing Highlights with Mike and Roman. 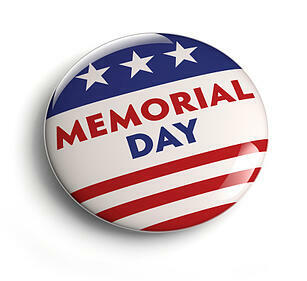 We hope you and your friends and family are enjoying your Memorial Day Weekend. To the men and women of our Armed Forces - we thank you! Think you know everything there is to know? Of course you don't (nor does anyone). Good insight here on brain science and the offline integration of your digital efforts. Solid piece on the value of publishing on the LinkedIn platform and how your LinkedIn content can drive traffic to your other digital assets. If Facebook really wanted to respect user privacy, they would. But they don't. Their larger investors might be worried that Facebook would sell less adds if their users shared less publicly. Useful read on the internal New York Times report and the report's acknowledgement that no true 'digital first' strategy exists within the walls of Old Grey Lady. In our fun story of the week, HubSpot marketing fellow, Dan Lyons, will help write the second season of HBO's new hit series about the tech start up culture "Silicon Alley." Is HubSpot going Hollywood? That it's for this week. Get out and enjoy the long weekend fellow inbounder!